In steam days there was something special about a double-headed train. 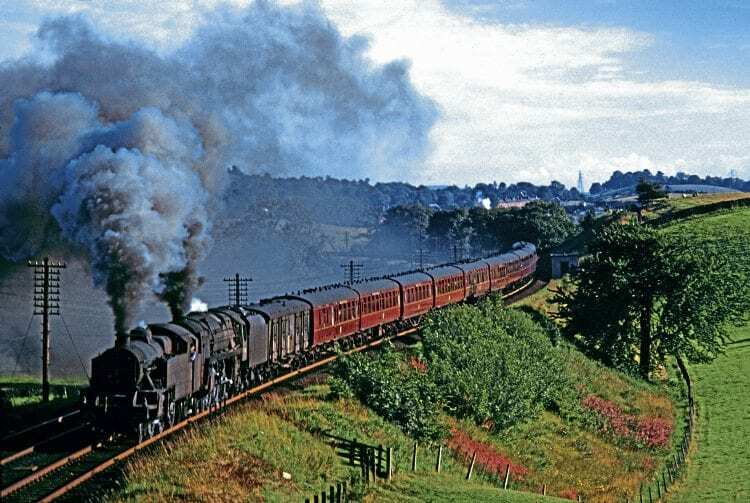 Imagine the ‘Cornish Riviera’, a ‘King’ on 12 coaches, coming into Newton Abbot; a ‘Hall’ or a ‘Manor’ sidles out of the shed and backs on, to provide assistance over the South Devon banks. There is stern business ahead and it is with renewed purpose that the two locomotives pull away, the leading one with exhaust beats more rapid than those of the bigger fellow behind. More than 400 miles further north, the ‘Royal Highlander’ draws into Perth; at 5.00am few people are about and the sound of the ‘Duchess’s’ motion, rhythmic yet discreet, echoes about the station roof as the big Pacific and its tail of sleeping cars come quietly to a stand. The 4-6-2 is exchanged for a pair of ’Black Fives’ to and, for any enthusiasts aboard daft enough to be awake at such an ungodly hour, the frisson of expectation rises. Within a couple of hours, the ‘Staniers’ will be plodding up the ‘Big Hill’ from Blair Atholl to Druimuachdar summit, a great train diminished by a vast landscape.